Texas Hold’em poker takes five minutes to learn but a lifetime to master — so says traditional thinking. From the outset, it appears simple: After the four rounds of betting are complete, each player forms the best possible five-card hand by selecting three cards from the five “shared” community cards and his or her two hidden “hole” cards. Granted, there’s a little more to the game than that. reet” — the fourth community card — face up. Now the third round of betting begins, and when that’s completed, the fifth and final community card, called “the river” or “fifth street,” is dealt face up. Finally, we have the fourth and last round of betting, and when that is complete, the dealer awards the pot to the best five-card poker hand. 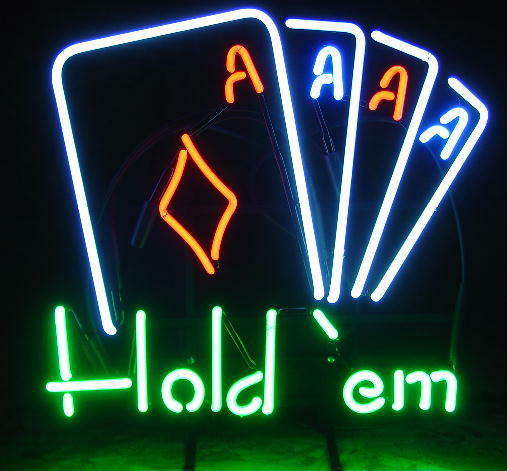 In Hold’em you can use one, both or neither of your hole cards, in combination with the community cards, to make the best-possible hand. For some, mastering Hold’em won’t take a whole lifetime, especially with all of the excellent books, DVDs and classes out there. Check out PhilHellmuth.com for more about these learning tools. Some of you will have a steeper learning curve than others, and a few may actually become poker legends in short order. Previously featured on United Feature Syndicate, Inc.